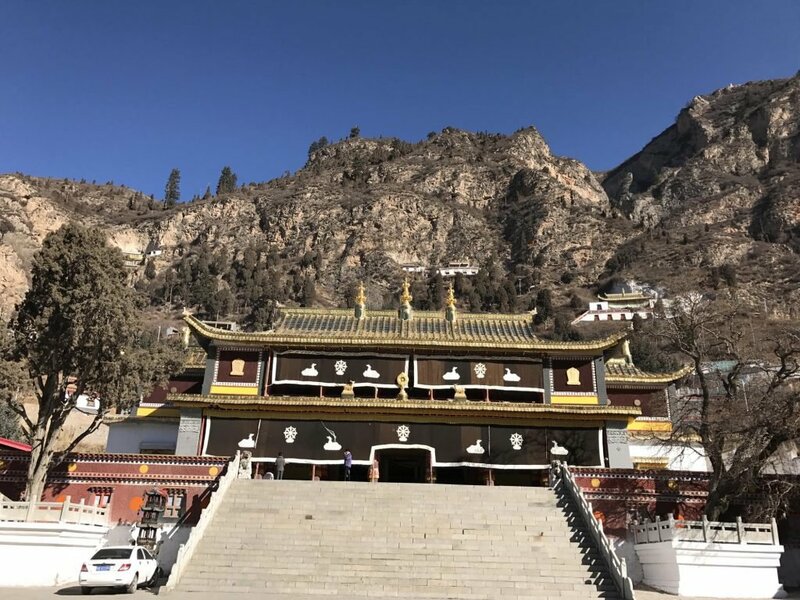 YouNing Monastery – a great day trip from Xining! 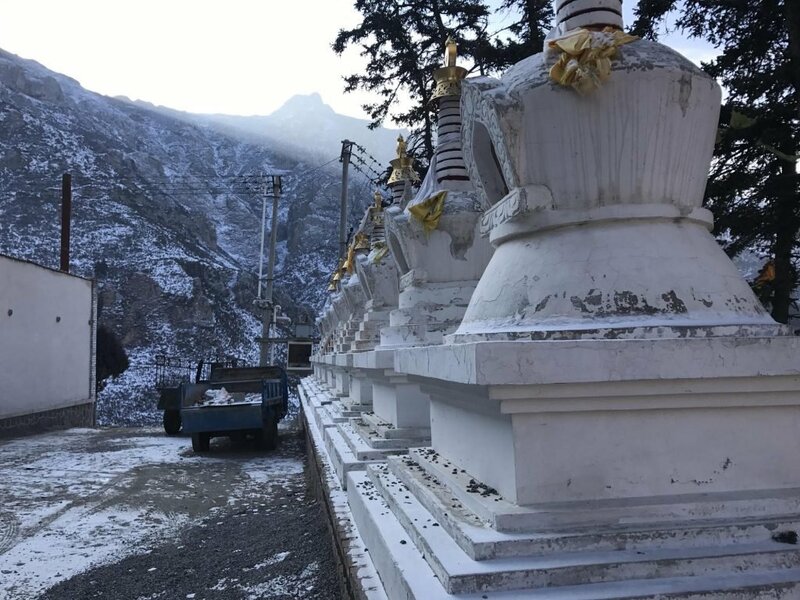 Come see monks light butter candles in the lower monastery and then travel another 7km up the road to the upper hermitage for some incredible views and breathtaking trekking! 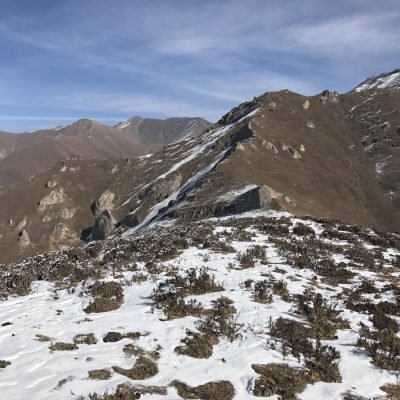 In this blog I have included a sample schedule on how I would plan to climb the mountains so you can accurately budget your time and know what to expect for your day trip. 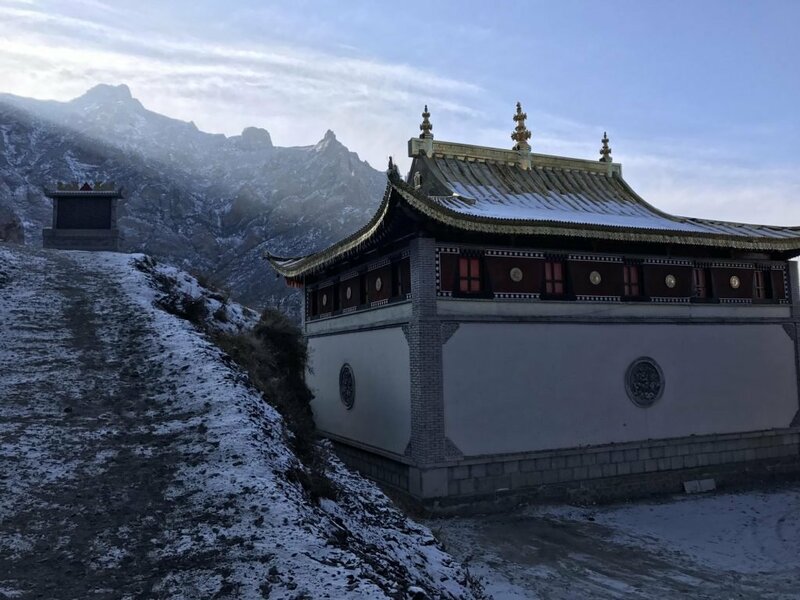 YouNing Monastery is a delightful hidden treasure in Qinghai Province. Just a short 1.5 hour drive from Qinghai’s capital, Xining, this is an excellent one day excursion from Xining. You can leave in the morning from Xining, have a picnic near the monastery, and be back to Xining by dinner. 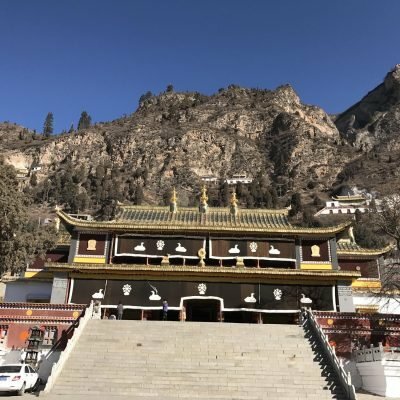 YouNing Monastery is composed of a lower monastery complex with several temples and meditation halls and an upper, smaller hermitage that has meditation caves where Buddhist monks go to meditate silently for months or even years. The meditation caves are located 7km up the dirt road from the larger monastery and are a great way to get away from people and into the mountains. 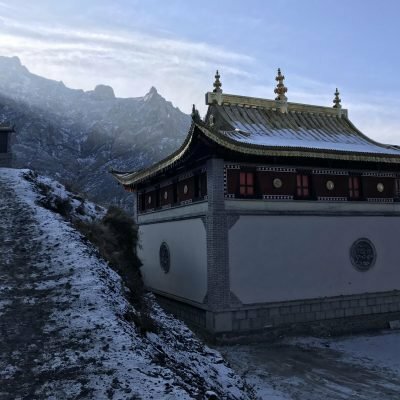 10:00am – Arrive at YouNing Monastery, explore the courtyards and monastic halls of the main temples and meditation halls for about an hour. 11:00am- Drive another 7km up the dirt road to the hermitage site. Park in the upper parking lot there. 11:15am- Depart from cement lot parking past a small sign up a trail that ascends to the hermitage sites. You will pass a small monastery (much smaller than the ones in the lower monastery as it only holds a few monks) and then continue another 15 minutes to ascend cement steps to a series of hermitage caves with meditation temples built around them. 1:00pm – Continue past the smaller monastery to a hiking trail that leads up to a barren mountain ridge. 3:00pm- Reach the saddle of the mountain ridge at 3,700 meters for a great 360 degree panoramic view of the mountains behind the main YouNing Monastery complex. 6:30pm – Enjoy a nice hearty dinner in Xining as a reward for your tough climb! Below is a picture of the smaller, upper monastery. 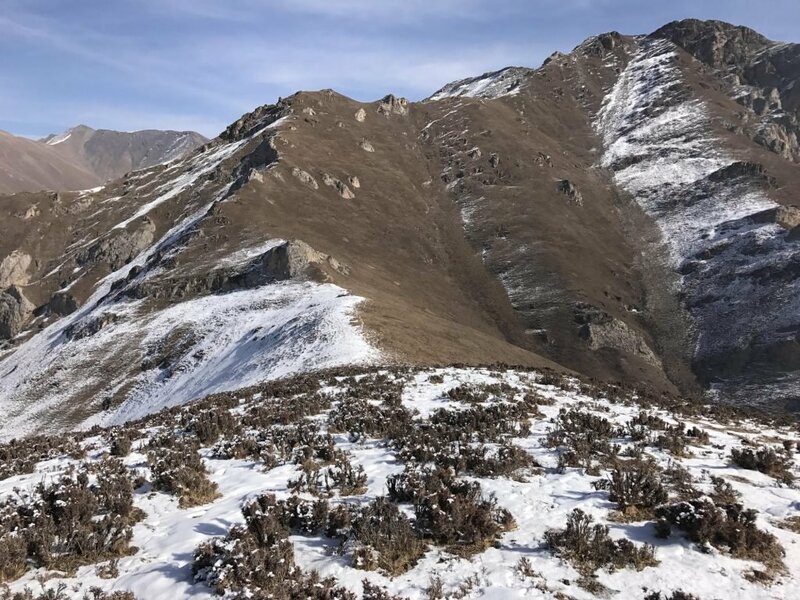 This leads to a trail to the upper hermitage caves and is a great place to launch a 4 hour roundtrip hike up to 3,500 meters to a mountain saddle. 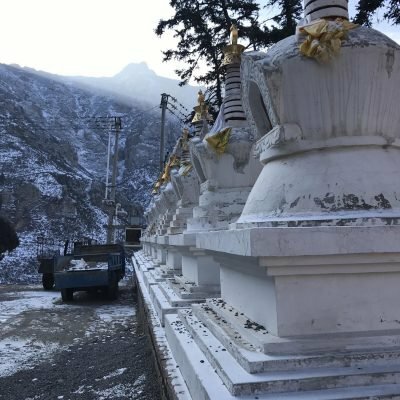 These stupas are part of the smaller, upper monastery and offer a great view directly below to the lower monastery complex. View from the top of the 3,700 mountain ridge – what will likely be your furthest point of ascent unless you camp on the ridge and keep exploring the mountains. This is the ultimate reward for about 3 hours of ascent from the hermitage below.